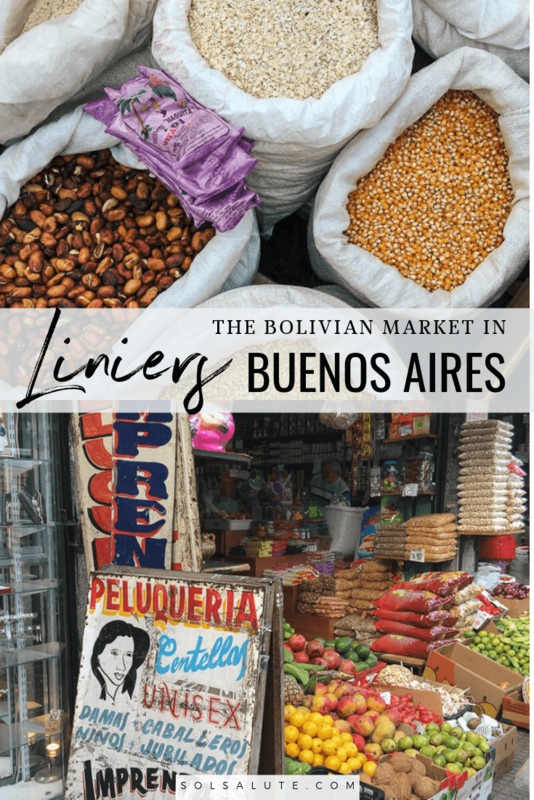 It took me years before I ventured out of my comfort zone to the Buenos Aires Bolivian Market in Liniers at the western limits of the city. I don't know what took me so long. Now I go every few months to stock up on hard to find items at bargain prices. Quinoa, for example, costs a third of the price here than what it does at my local neighborhood shop. I buy a kilo of chia seeds for the same price that 200 grams of chia seeds cost at the chino supermarket down the block! The variety is also a drawing point. You'll find red and black quinoa that I haven't seen elsewhere in the city, for just one example. 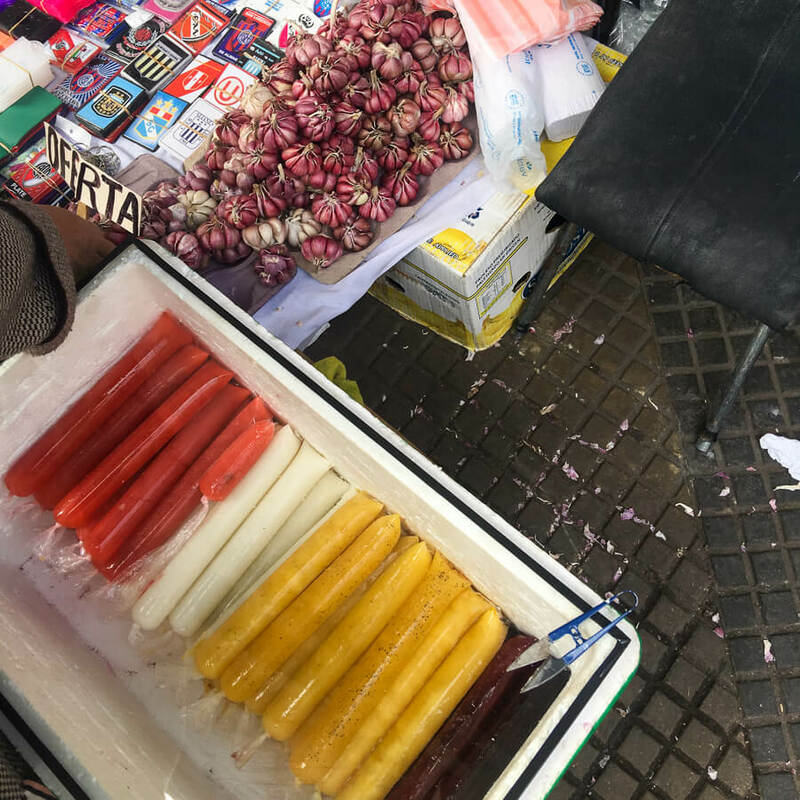 There are hard to find fruits and vegetables (especially varieties of potatoes) that are more common in Bolivian and Peruvian cuisine. 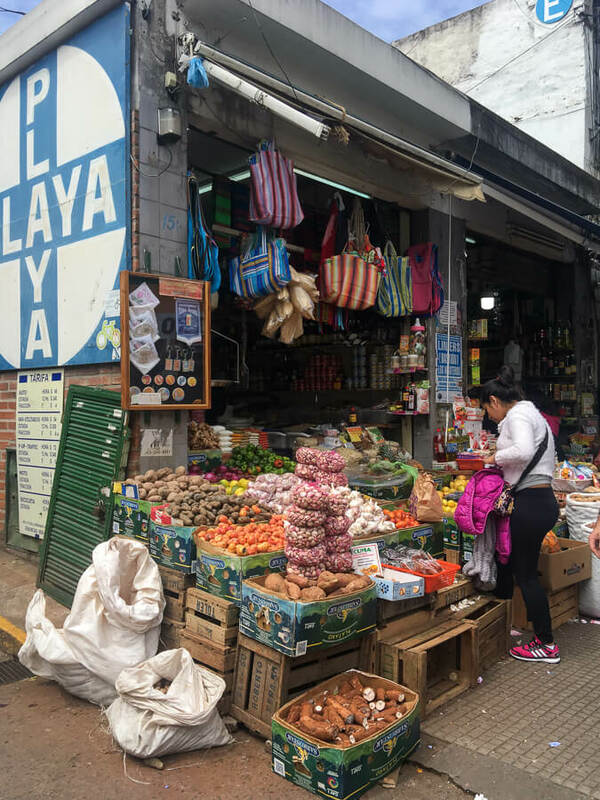 Bolivian restaurants offer lunch specials that cost less than the equivalent of U$7. Or just eat the street food such as Bolivian empanadas, salchipapa, or api morado (a hot drink made from purple maize). LOCATION | José León Suárez 100-300 (between Ramón Falcón and Ventura Bosch streets). It's a block in from the main avenue Rivadavia 11500. HOURS | 7 days a week, from around 8 am - 8 pm Weekends are hectic. Try to go during the week before noon to have a more peaceful experience. From Saavedra/Nuñez in the north. There are fast-service buses (lines 21 or 28) at Puente Saavedra that stop on the overpass of the General Paz. If you're coming from Palermo/Villa Crespo, take the Metro Bus (lines 34 or 166) on Juan B. Justo. Coming from the center, take the Sarmiento train line from the Estacion Once in the Plaza de Misere (get off at the Liniers stop). There are offerings available for all sorts of ailments and desires. 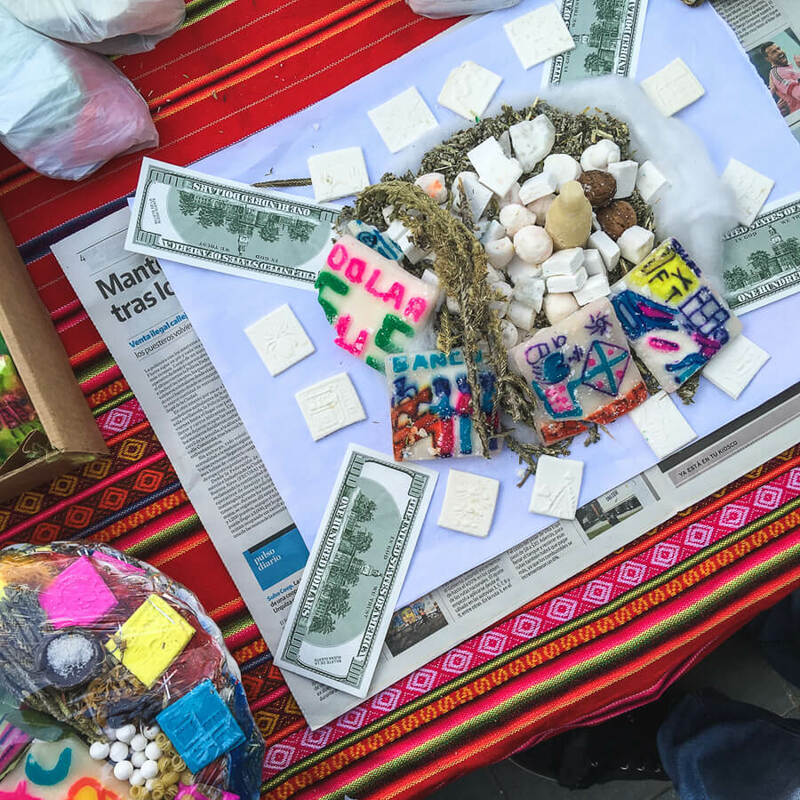 Offerings like the one above, which I can only imagine is for personal wealth or success. There are also dried llama fetuses. Llama fetuses are offered up to Pachamama, a goddess similar to our concept of Mother Earth. If you're concerned about safety don't be too worried. Just use the same general precautions you'd use in any busy city. Keep an eye on your surroundings and be subtle with your wallet and phone (don't be flashy here!). I've been multiple times and have never had any problems whatsoever. I've actually enjoyed talking to the people working there and have nothing but great things to say. We were even offered a taste of aguardiente from a couple of girls working in one shop. My verdict? It's not called fire water for nothing.